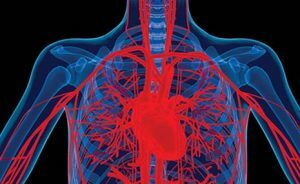 An interesting new case study published in the British Medical Journal recounts the curious case of a 60-year-old amateur bodybuilder that had been diagnosed with non-ischemic cardiomyopathy. In July 2018 after it was discovered that he had been using sky high doses of anabolic steroids and injections of illegal stem cells from his personal trainer. The 60-year-old man (from Texas in the United States) is never identified in the medical journal case study for obvious reasons, but the story is absolutely fascinating to follow. According to the doctors that authored this paper, the 60-year-old had been visiting his regular physician for some time to take advantage of testosterone supplement injections. His doctor recognized that he did in fact have low levels of testosterone, prescribed a TRT dosage of 200 mg to be administered every three weeks, and continued him on this protocol until he discovered that his testosterone levels have been elevated significantly after just a few doses. Later on, the patient admitted that he had taken up amateur bodybuilding and was receiving regular injections of testosterone, as well as regular injections of illegal stem cells, in an effort to fight back against Father Time. His doctor warned him that he was playing with fire with these kinds of lifestyle decisions, immediately discontinued the regular supplementation of TRT he had been providing, and told him that if he continued down this pathway there would be inevitable health consequences he would have to contend with. This did nothing to deter the amateur bodybuilder. In fact, according to the bodybuilder himself, this only pushed him to up his dosage that he was receiving from his personal trainer. He began to receive regular injections of testosterone and other anabolic steroids, as well as stem cells, all the way up until the rug was pulled out from underneath him and he found himself hospitalized with some serious health issues. Arriving at the emergency room of a Texas hospital, attending physicians at first believed that the chest pain and difficulty breathing this 60-year-old man was dealing with stemmed from pneumonia. However, after drawing blood and analyzing it these doctors soon discovered that he had been using supraphysiological dosages of testosterone for a considerable amount of time – at which point the patient admitted that he had been in the middle of a steroid cycle as he prepared for an upcoming amateur bodybuilding competition. He could not tell the medical staff exactly how much testosterone injected with, he could not tell them exactly what he was being injected with, and he refused to tell who he was receiving the use injections from aside from the fact that it was a personal trainer that he had a long and outstanding relationship with. The medical staff was able to convince him to discontinue this kind of lifestyle approach, telling him that it wasn’t at all uncommon for bodybuilders in general to use dosages that are between 5 and 30 times the recommended dosage administered by medical professionals like themselves. They also told him about how bad his heart condition was (the musculature of his heart had weakened significantly) and that he was dealing with a tachycardia of 130 bpm combined with a respiratory rate of 45 breaths per minute – resulting in an oxygen saturation of nearly 90%. This story, unlike so many others, has a bit of a happy ending. After spending a significant amount of time in the ICU and running through a battery of prescription medications under the close and watchful eye of the medical staff on hand, he was able to avoid any serious health complications moving forward. A six month checkup showed that his condition had improved, though symptoms still existed from the damage he did to his body with the anabolic steroid and stem cell injections.